Copenhagen, Denmark-based Danske Bank started trial of a new payment solution called FastPay, which quite simply consists of a payment chip with an in-built antenna that can be placed wherever you want. FastPay lets you wear your payment chip in a wristband, on a keyring or on your watchstrap so that you can make contactless payments without having to reach for your card, reports Danske Bank. The Danish bank is currently testing the chip with thousands of customers in Denmark, Norway and Sweden. The chip, which works like a Master Card, enables users to make payments of up to Dkr350 without having to type in their PIN. “We can all think of situations where it would be nice if we did not have to carry our wallets and cards around with us – when we are out jogging, at a concert, at a party or at the beach, but it could also just be when standing in line with our hands full of groceries. It is in these situations where we can see that FastPay will add value to the everyday lives of our customers,” says Morten Schwaner, Head of Card and Mobile Payments at Danske Bank. 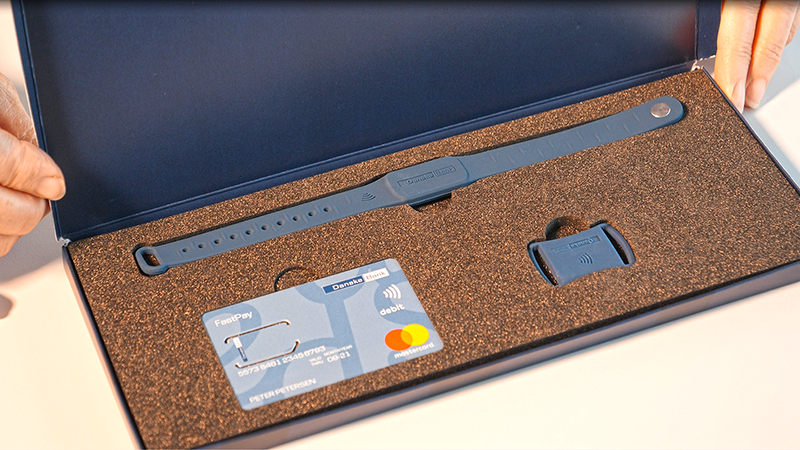 When a customer orders FastPay, they will receive a starter box including a payment chip, a chip holder and a wristband – and they are ready to go. Customers can decide for themselves where they want to put the payment chip, for example in a keyring or in a different wristband or bracelet. “Contactless payments have become a huge success in a very short time. Therefore, we also think that a lot of customers can see a value in doing contactless payments with a wearable as a supplement to regular payment cards.Paying with FastPay is even easier than paying with a contactless payment card. 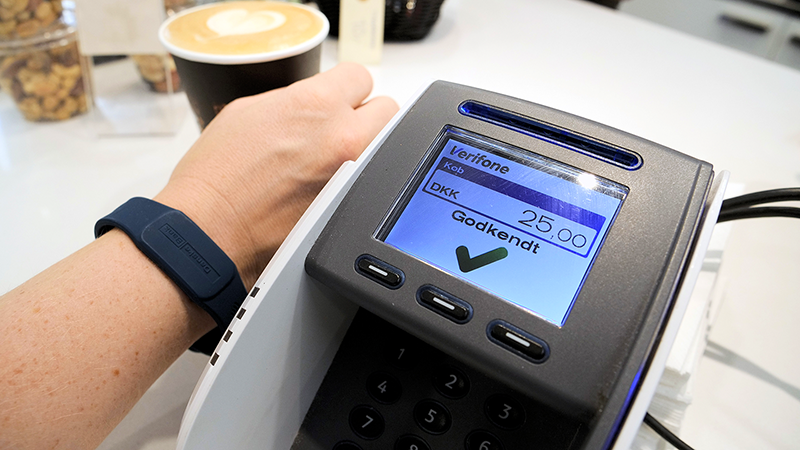 Just hold your wearable with your FastPay chip close to the payment terminal and pay,” explains Mr. Schwaner. “We have not set a launch date for FastPay yet. To begin with, we are looking forward to test the solution and listen to the feedback that our customers will give us during the test period. Then the plan is to adapt the final FastPay solution as quickly as possible so that it can become available to all customers,” he concludes.